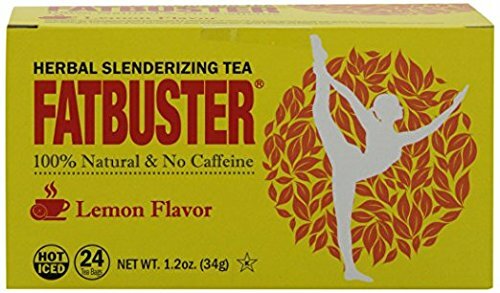 Fatbuster tea is the world's greatest all natural herbal slenderizing tea. Herbs have been used for centuries as a natural way to assist the body's ability to heal itself. Fatbuster tea uses an ancient recipe, which consist of herbs that work synergistically to aid the body to function more effectively. Fatbuster tea is a purely natural way to lose weight, and it contains no artificial flavors, colors or preservatives. Let Fatbuster naturally assist you in your health endeavors! Made from highest quality herbs! Aids in digestion and overall good health without compromising great taste! It contains no artificial flavors, colors or preservatives! Let Fatbuster naturally assist you in your health endeavors! If you have any questions about this product by Fatbuster, contact us by completing and submitting the form below. If you are looking for a specif part number, please include it with your message.